Many of the hair issue stem from the fact that the body does not get enough nutrition to enable to conquer this issues. While a healthy diet will help correct this problem, there are also simple yet effect natural ingredients that will ensure you have the hair to die for. Curry leaves is one such ingredient that can help you overcome all your hair problems. Curry leaves are easily found and are cost effective. 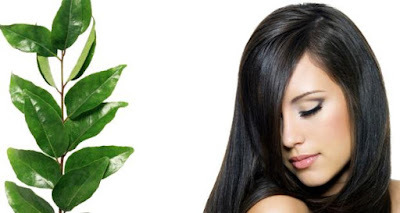 Curry leaves is packed with nutrients which will ensure a healthy growth for your hair. It has antioxidants and amino acids which not only reduces hair fall but also strengthens the hair roots. Amino acids are also responsible for preventing hair thinning and the antioxidants keep the scalp hydrated. Curry leaves can provide the below benefits. Curry leaves provides the hair with amino acids and antioxidants which provides strength to the hair roots and stops hair loss. It also helps in removal of the dead skin that is responsible for dandruff. Curry leaves infuse new life into the hair follicle by repairing the damaged hair and encourages healthy hair growth. Boil the water on a low flame for approximately 2 minutes. Add the curry leaves and continue to boil till the water has turned greenish and the curry leaves have become softer. This can be done twice a week to reduce hair fall. Use this every time you wash your hair for a month to have healthy, shiny and dandruff free hair. Apart from the above methods, it is also beneficial to consume curry leaves. It can be included in your cooking which will also give a good fragrance and flavor to the food.